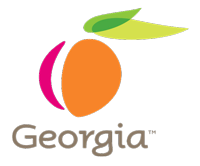 It is the policy of the Georgia Department of Corrections (GDC) to maintain compliance with the Americans with Disabilities Act (ADA), a Civil Rights Law which requires accessibility to programs, services, and activities to individuals with disabilities and prohibits discrimination. We provide an open and meaningful accommodations request process, which offers resolution to complaints and allegations regarding the ADA. In alignment with our agency’s mission, our goal is to offer equal access to all individuals in the areas of education, programming, healthcare, and beyond. The Americans with Disabilities Act (ADA) Coordinator’s Office, which is an entity of the Office of Professional Standards Compliance Unit, is located at the GDC Headquarters in Forsyth, Georgia. Within the great State of Georgia, the ADA Coordinator’s Office serves our offender population, staff, contractors, visitors, and citizens with documented qualifying disabilities in their encounters with our agency. We provide these services under the guidelines of Americans with Disabilities Act and its amendments (ADAAA), as well as Section 504 of the Rehabilitation Act of 1973. Please see the Public ADA Compliance Notice, which includes information about our ADA Accommodations Request procedure noted in SOP 103.63 and our Grievance Procedure process in SOP 227.02. Both policies are available in all GDC Law Libraries and on our public website. 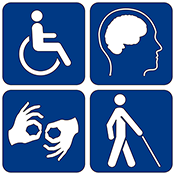 Additionally, the GDC Office of Human Resources provides support and resource information for employees and applicants with disabilities. Services are available to ensure that individuals with disabilities have an equal opportunity to pursue employment in all aspects and have access to programs, services, and activities offered by our agency. 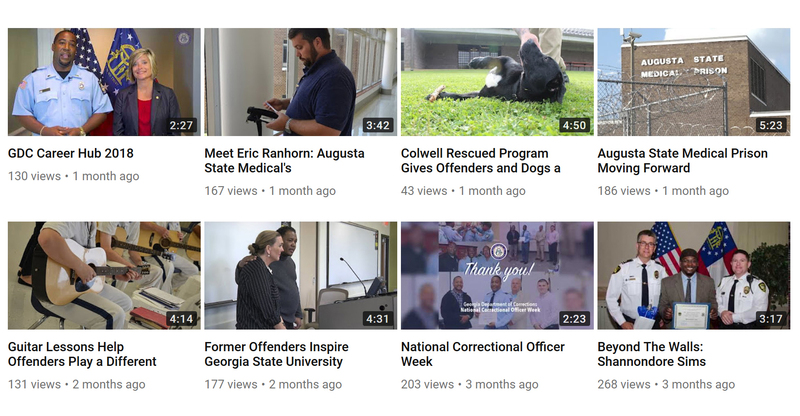 The Georgia Department of Corrections strives to eliminate barriers to content for visitors with disabilities by implementing requirements that allow for a more inclusive, accessible online experience for all individuals. The platform incorporates federally mandated Section 508 compliance standards and best practices recommended by the World Wide Web Consortium’s Web Content Accessibility Guidelines (WCAG 2.0) (Level AA) for web accessibility. Text alternatives for non-text elements when necessary. Web pages that can be presented without an associated style sheet and will not lose information or structure. WAI-ARIA labels applied for individuals using screen readers Accessible online forms allowing assistive technology to access the information, field elements and functionality required for completion and submission of the form. GDC is continuously working to increase accessibility standards and meet all levels of accessibility conformance and guidelines. Click here to go to Contact Us page and submit a written request. Select “Questions for GDC ADA Coordinator Office” from the drop down on the Contact Us page.